The seven techniques will after practice make you a better observer of things, an acute and sensitive listener, a clearer and a faster thinker, an entertaining host and speaker and finally an all-around happy and wholesome person to be with. Public Speaking is not just about standing up and speaking engagingly to a large number of people. It is about continuing the buildup of collective knowledge. It is about ripping open your psyche and finding out what makes you worth anything, and it is about tearing down beliefs and then building new ones. This book provides you with creative strategies and techniques on how to choose the substance, build the structure and employ the style that'll help you rip open your heart and delightfully add value to the lives of your audiences. Connect, Engage and Influence Creatively. Gone are the days when purchasers had a job to do and targets to meet. Every purchaser today is cutting-edge educated and a ball-playing entrepreneur. She keeps her personal values, corporate goals and ecological bottom lines all in the same horizon. 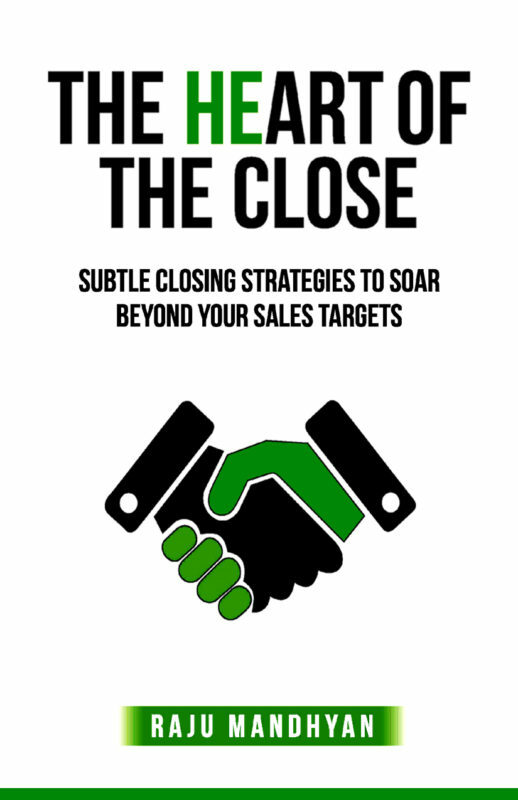 In the HeART of the CLOSE discover how to influence them and improve your profits! Master the tools, techniques and negotiating tactics that enable you to ethically influence your buyer’s perception of cost, value and benefits. This NLP* influenced, interactive and illustrated book is the answer to selling without really selling and co-creating value in the global marketplace. Book also contains a chapter on sales management and a chapter with a 5-step process to coaching sales champions.